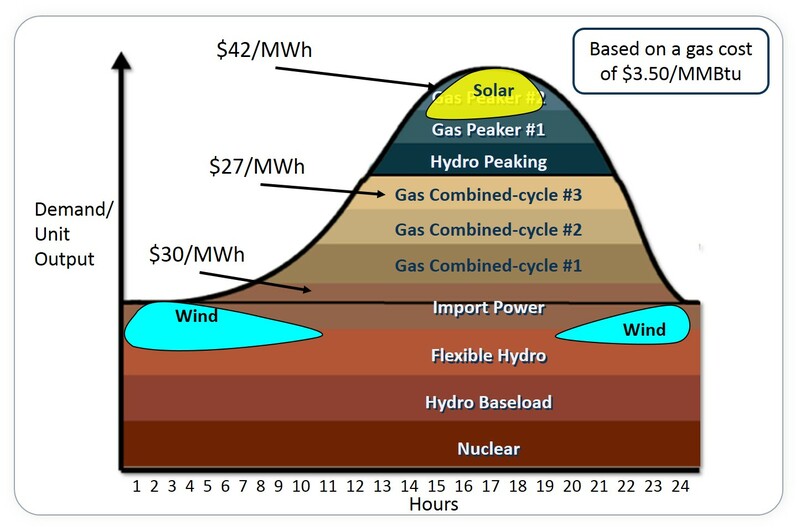 Participants in Enerdynamics’ seminars often wonder why market-based wholesale power costs fluctuate so much. Some say it is due to market control by generation owners who are manipulating prices to increase profits. In fact, that is rarely the case. Most fluctuations in power prices can be explained by two factors – costs of fuel and marginal power plant heat rates. To understand this, we must first understand the concept of the marginal unit. The marginal unit is the last unit that must be used to serve customer loads during any period in time. Because power plants are usually dispatched based on least cost, the last unit turned on will be the unit with the highest variable operating cost. And, since generally no one wants to sell their power for less than the price of competitive alternatives (just like when you sell your house, you base it on comps of similar houses that recently sold, not a formula based on what you bought it for originally), the marginal unit sets the market price. The unit heat rate, which describes how efficiently the unit can convert the fuel to electricity. In some cases other variable costs such as operating and maintenance (O&M) and emission allowance costs come in to play, but heat rate and fuel cost are most commonly the predominant variables. Heat rates are typically stated in units of Btu per kWh. This tells us how many Btus of gas, coal, or oil are needed to generate one kWh of electricity. But since wholesale traders usually trade in units of MMBtu and MWh, heat rates are often described in units of MMBtu/MWh. Since the heat rate tells us how much fuel is needed to generation one unit of electricity, we can use the heat rate to calculate the variable fuel generation cost once we know the cost of fuel. The unit will not run unless the market price of electricity is higher than $21. 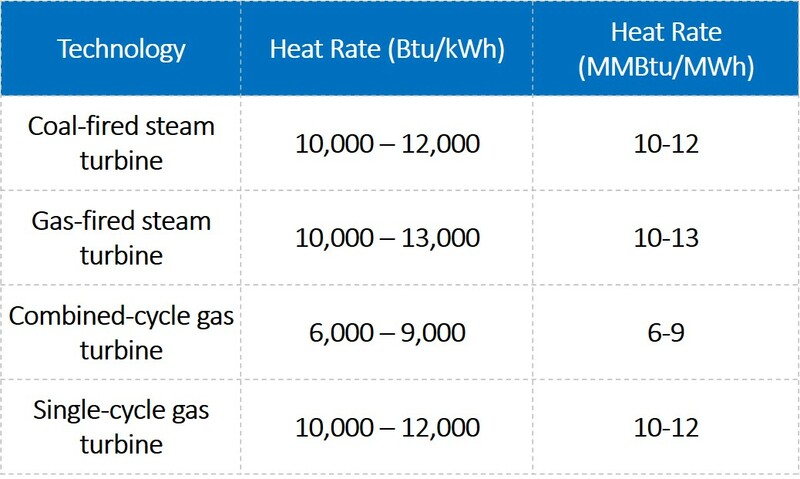 But if all the available combined-cycle units have been turned on and it is necessary to dispatch a single-cycle unit with a heat rate of 10 MMBtu/MWh, then the market rate will have to jump to at least $3/MMBtu x 10 = $30/MWh to get the single-cycle unit to run. Thus, power prices can move quickly as the dispatch curve changes in response to changes in demand. So, if you know the heat rates of the marginal units under various load conditions in a certain market and you know the market price of fuel, you are well on your way to understanding price behavior in that market. Fortunately, the market price of fuels is easily obtained. And, since there are only a handful of technologies out there and many units have revealed their heat rates in regulatory filings, it isn’t too hard to figure out marginal heat rates. Thus anyone willing to put in just a bit of work can gain this understanding of price movements. This entry was posted in Electricity and tagged Electric loads, Electricity Markets, Heat rate, Marginal unit, Wholesale electricity. Bookmark the permalink.